BÉBÉ DAY BY DAY distills the lessons of BRINGING UP BÉBÉ into an easy-to-read guide for parents and caregivers. How do you teach your child patience? How do you get him to like broccoli? How do you encourage your baby to sleep through the night? How can you have a child and still have a life? 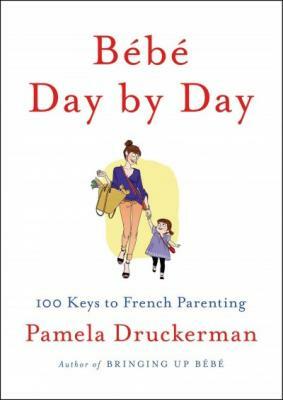 Witty, pithy and brimming with common sense, BÉBÉ DAY BY DAY offers a mix of practical tips and guiding principles, to help parents find their own way. Pamela Druckerman is a former staff reporter for The Wall Street Journal, where she covered foreign affairs. She has also written for The New York Times and The Washington Post, and appeared on the Today Show and NPR's Morning Edition, among many other outlets. She is the author of the international bestseller, Bringing up Bébé, and Lust in Translation, which was translated into eight languages. She has a master's degree in international affairs from Columbia, and lives in Paris.